It's officially December and that means sweaters, hot drinks, and sparkling decorations. The holiday flavors of the season will start to make an appearance in everything we eat and there will be cookies galore on our social media feeds. It's the most wonderful time of the year, so why not celebrate with the most wonderful treat of the entire season: The Original Williams-Sonoma Peppermint Bark. It's my pleasure to participate in this year's Williams-Sonoma #BarkYeah campaign in collaboration with feedfeed! 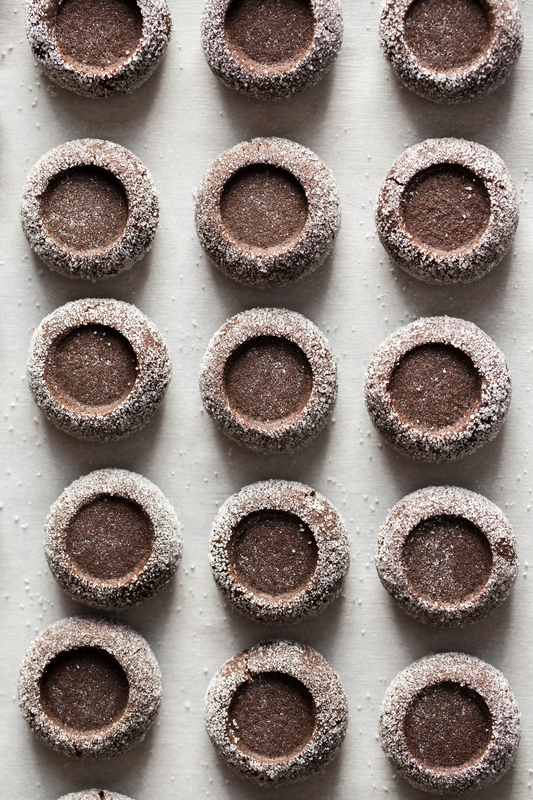 As feedfeed's chocolate editor, it was exciting to brainstorm new ways to use this timeless holiday confection. The result are these Peppermint Bark Dark Chocolate Ganache Cookies. 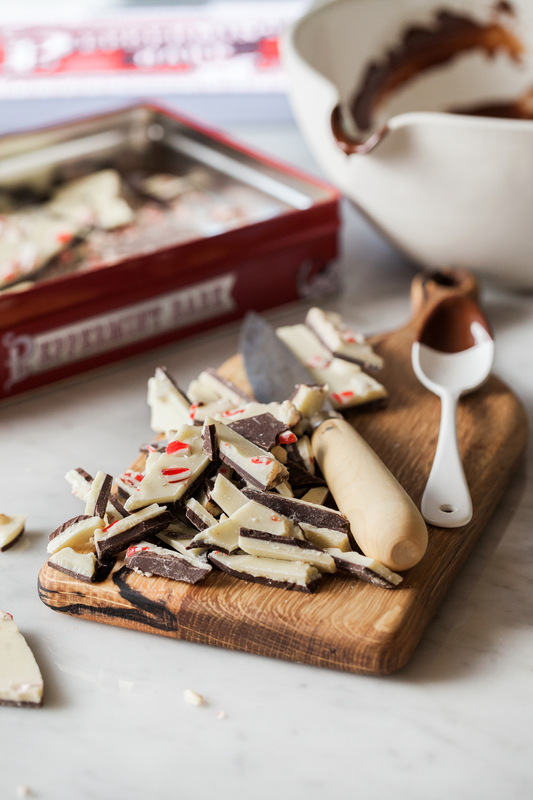 Williams-Sonoma's peppermint bark is a nostalgic tradition each year. It's handcrafted using the finest ingredients including a custom blend of Guittard chocolate and triple-distilled oil of peppermint. Their master confection-makers pour out a layer of melted dark chocolate and a top layer of silky white chocolate. A topping of handmade peppermint candy pieces are sprinkled on for the final finish. It's the perfect texture and flavor in every bite. Chocolate and peppermint are a happy holiday couple. 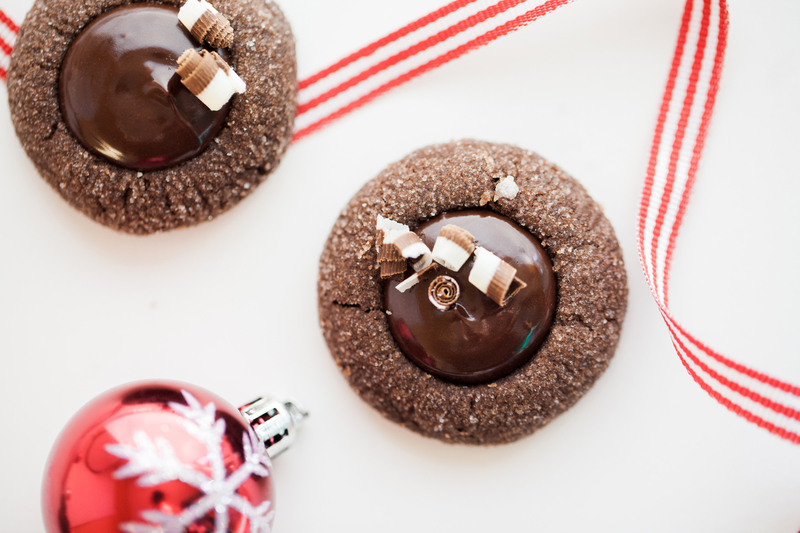 In these cookies, you'll find a rich chocolate brownie-like texture with the slight crunch of peppermint bark in the center and a velvety dark chocolate ganache on top. A traditional thumbprint cookie taken to the next level. They're lovely for cookie swapping, gifting to neighbors and friends, or to make as a holiday dessert. Snacking on the peppermint bark while baking is a must, so put on some festive music and start eating (I mean baking).